Why facials aren’t just a luxury. When people think of a spa day, their minds likely just think of all the pampering but the treatments you receive are actually very beneficial! One might just be interested in a facial for relaxation but let’s consider what else you’ll get out of your 40-80 minutes with your esthetician, especially if you see her regularly. Really, it depends on your skin care concerns! At SLOCO, we specialized in Truly Natural Custom Facials which allows us to pick the perfect blend of products to help maximize your results. If you have generally good skin with little to no concerns, our recommendation is to get a facial as the seasons change. The changing of the seasons puts the most stress on our skin. Often hot or cold weather will change the rate of oil production leading to dry skin or clogged up pores. Oftentimes there is a shift in our diet and lifestyle as the seasons change as well. So, seeing your esthetician every 3 months will get you a thorough but gentle exfoliation, some extractions to clean out any congestion that’s been building up, and add some probably much needed hydration. If you have concerns such as acne we hope we can see you once a month to get your skin clear. Our skincare bootcamp program will help to decongest clogged pores, heal active breakouts, and detoxify your skin, purging it of acne causing bacteria and buildup. You’re going to want to see your esthetician more than once when you are trying to rid your skin of acne because acne is complex and will likely take 6 months or more to fully clear. We’ll also help you do some detective work and see if we can find the cause and come up with a solution that might include some diet or lifestyle changes. We highly recommend doing a full body detox to get the best results, fast. At SLOCO Massage & Wellness Spa, we pride ourselves on having recommendations for affordable products we think would be beneficial to use between treatments to help speed up your results. If your concern is hyper-pigmentation or side effects of aging such as fine lines and wrinkles we’d like to see you once a month or more. These skin concerns are the hardest to combat so seeing your esthetician regularly for professional treatments is crucial, as is an quality home skin care routine. The concerns effect the deep layers of the skin so you won’t see results right away, but with patience and regular facials you should begin to see improvement in a few months. 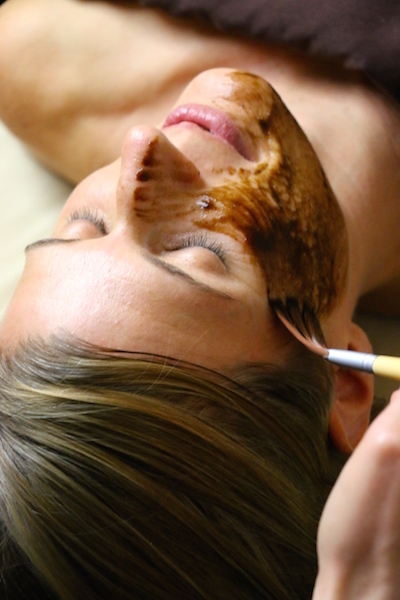 In your professional treatments we’ll be able to exfoliate bringing fresh skin cells to the surface while pushing out pigmentation, and improving the look of fine lines and wrinkles. With the dead skin at the surface removed your skin will also be more welcoming to the ingredients to improve your concerns. We’ll have some recommendations on speeding up your results between treatments with an at home skincare routine as well and perhaps some diet and lifestyle changes. Oh, and it reduces stress too! Relaxation is also obviously a beneficial part of regular facials. Taking that 40-80 minutes to do something for yourself is really important. A study completed by the User Science Institute in Japan has shown that face massage, in particular, can reduce anxiety and negative moods while increasing sympathetic nervous system activity. It can reduce stress and tension which makes for a better quality of life, and happier you! Our face is what the world sees of us first and can be a real cause of anxiety when our skin doesn’t look how we would like. We want you to have confidence but also clear skin is healthy skin and reflective of happy insides as well. We want to treat not just your skin but find out what its craving and what it needs to look it’s absolute best. Ready to give your skin a total makeover? Check out SLOCO’s skincare bootcamp!